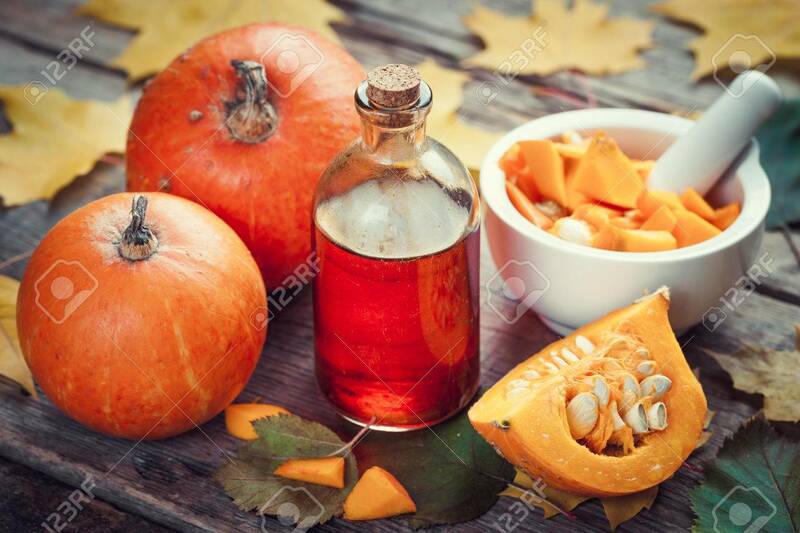 Pumpkin Seeds Oil Bottle, Pumpkins And Mortar On Wooden Table.. Stock Photo, Picture And Royalty Free Image. Image 47215343. Stock Photo - Pumpkin seeds oil bottle, pumpkins and mortar on wooden table with autumn leaves. Selective focus. Pumpkin seeds oil bottle, pumpkins and mortar on wooden table with autumn leaves. Selective focus.